KAMPALA – Bank of Uganda officials including the former executive director for Supervision Justine Bagyenda have failed to defend the Shs900m paid to MMAKS Advocates for external legal advice during Crane Bank sale. BoU officials were Tuesday appearing before Parliament’s Committee on Commissions, Statutory Authorities and State Enterprises (COSASE) in which they were tasked to explain how they hired MMAKS Advocates and gave the law firm work without terms of reference as well as not having minutes of the meetings relating to the work the lawyers were to do in regard to the liquidation and sale of Crane Bank Limited (CBL). MMAKS Advocates were paid Shs914.2 million for legal advice during CBL intervention, resolution and advice on the sale of CBL assets and assumption of liabilities. The firm would further be paid extra Shs3 billion as 5 percent commission on monies recovered from CBL shareholders. The MPs contend those payments were exaggerated to benefit some BoU senior staff involved in the sale of CBL. 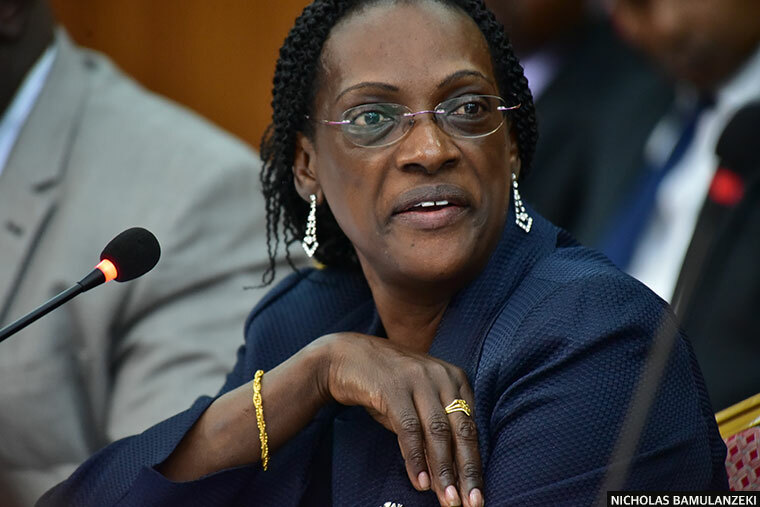 The former Executive Director of Bank supervision at BoU, Justine Bagyenda failed to convince the legislators on the business MMAKS did with BoU as some records were missing. Committee chairman Abdu Katuntu said it was wrong for BoU not to have records on the particular transaction. Bagyenda read to the MPs a memo/document of November 30, 2016, requesting for payment of the lawyers without showing the work that was done. BoU governor would on December 12, endorse and approve the request for payment of over US$51000 dollars as part of their total fee. The law firm was hired after on October 28, 2016, BOU engaged PWC to carry out a forensic review of Crane Bank Limited (CBL) focusing on a 48-month period before statutory management which was completed on January 13, 2017. On November 28, 2016, BOU engaged MMAKS Advocates to provide transaction advice to take over CBL and the firm would on December 9, 2016, on behalf of BoU, invite 13 bidders to bid for the purchase of assets and assumption of liabilities of CBL. Between 12th and 15th December 2016, BOU issued the Inventory report to 6 bidders after signing a confidential agreement with them to undertake due diligence on the assets and liabilities of CBL. Subsequently, on 20th December 20, 2016, two bids were received and evaluated. The costs to MMAKS are part of the Shs12 billion intervention costs BoU claims to have sunk in CBL during the takeover. Lawyers of MMAKS are also directors of some commercial banks yet they do business with BoU which is their regulator. MPs said this creates conflict of interest and that BoU should have addressed the issue before giving the law firm the job.